DAVID LE/Staff photo. 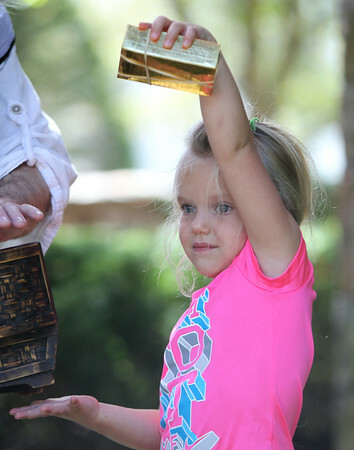 Four-year-old Violet Acheson, of Beverly, holds up a gold wrapped box high above her head for all to see as part of a magic trick put on by "Ed the Wizard" at the Manchester Public Library on Friday morning. 8/7/15.